Mesh networking is very popular these days, and for good reason -- its use of several access points makes it possible to blanket a home in Wi-Fi. The problem? If you already have a good router, it would be foolish to replace it entirely with a mesh system -- that would be a costly affair. 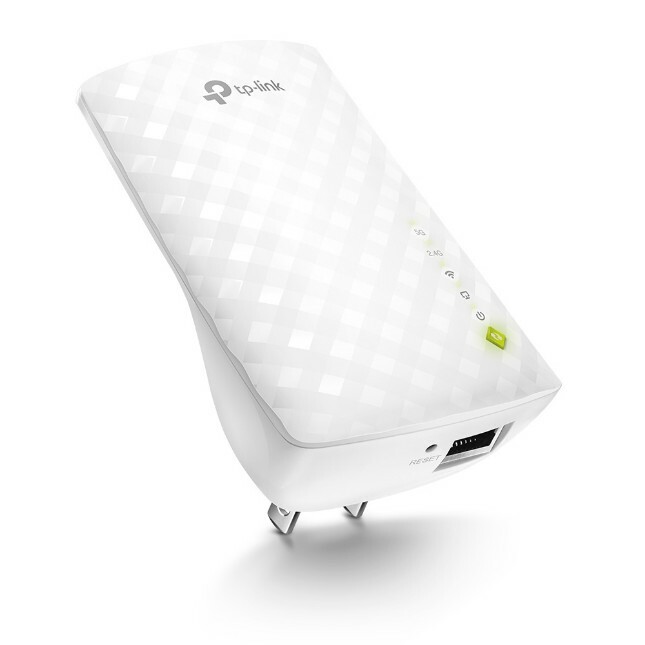 Instead, if you need to deliver wireless access to a dead zone in your home, you should opt for a range extender. They are fairly inexpensive, and best of all, will work with your current router. Today, TP-Link unveils its latest range extender -- the RE220. 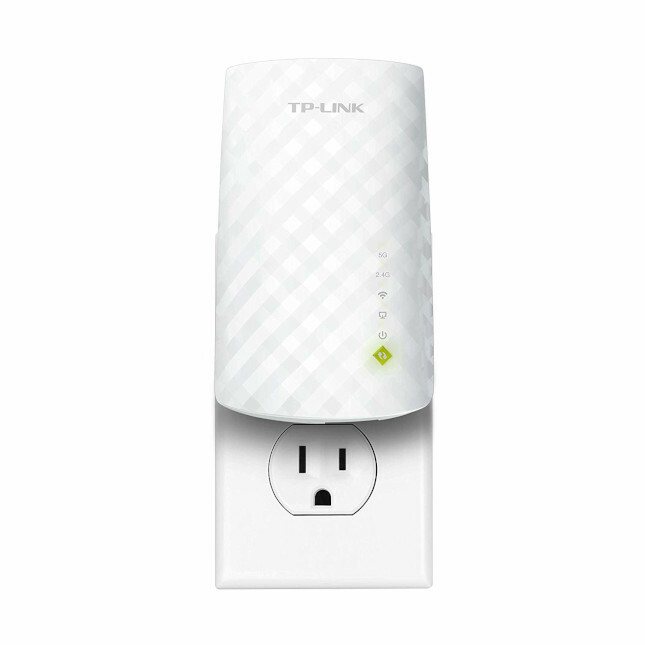 This little dual-band 802.11ac access point simply plugs into a power outlet. Then, with the help of a smartphone app, you can configure it to connect to your router. Also cool? It has a gigabit Ethernet port, so it can do double-duty as a wireless adapter for an internet-connected device that doesn't have Wi-Fi -- such as a desktop computer. Performance aside, it also has a striking white design with a gray crisscross pattern. "A key feature of the RE220 is fast and stable Wi-Fi. With three internal antennas, the RE220 supports the 802.11ac wireless networking standard and boasts speeds up to 743Mbps with 2.4GHz 300Mbps and 5GHz 433Mbps. And thanks to its dual-band backup technology, customers can access the internet even when the link to a single-band router is down. Additionally, the RE220 features cloud support and Adaptive Path Selection (APS). With cloud support, users can remotely manage the RE220 with a cloud ID and enjoy cloud-based firmware updates. With APS, users can seamlessly surf the internet, enjoying the most optimal path between the router and the extender," says TP-Link. The company also says, "The RE220 is also easy to setup and manage. Users can quickly get started with the RE220 using TP-Link’s Tether app, which provides the easiest way to remotely access and manage routers or range extenders through an iOS or Android device. From setup to parental controls, Tether provides a simple, intuitive user interface for managing the RE220 Range Extender anywhere, anytime. Another core feature of the RE220 Range Extender is one-key connection. Simply press the WPS button on your router and RE button on your RE220 to easily connect to the network. Once connected with an existing router, you can relocate the RE220 to any location for the best signal strength." 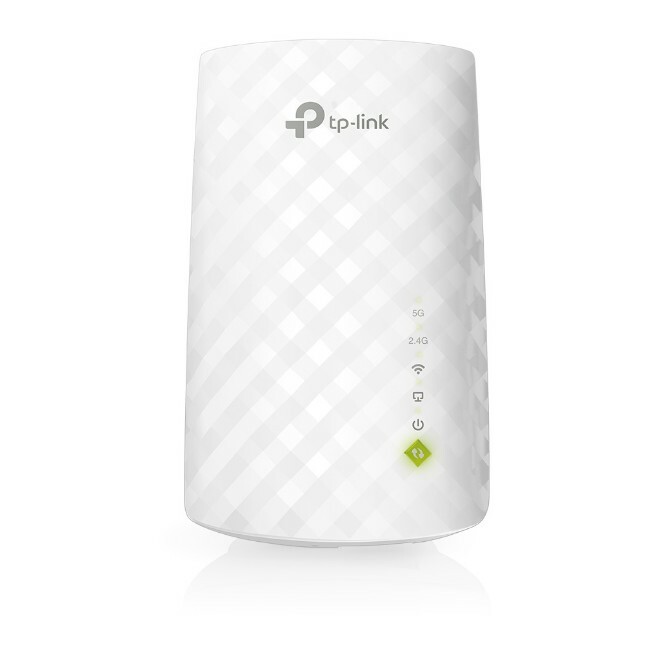 TP-Link shares the following specifications. 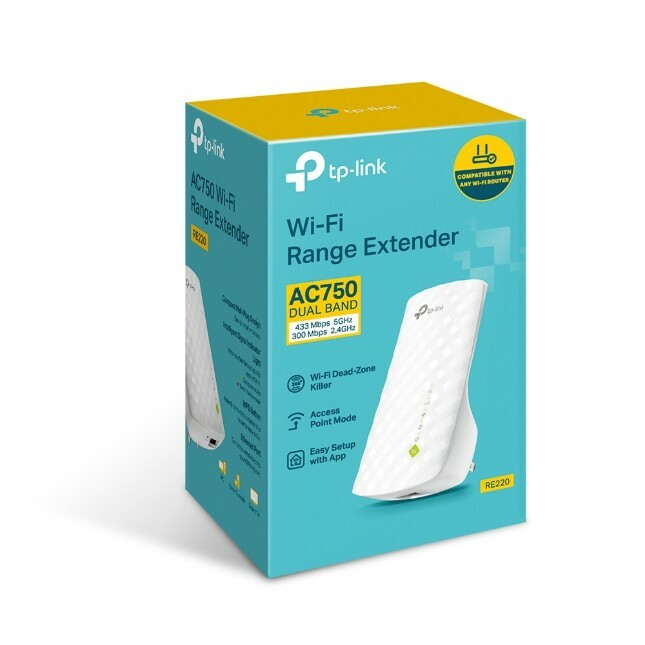 The RE220 AC750 Wi-Fi Range Extender is priced very competitively at just $29.99. It can be had from Amazon here.